Print or photocopy sufficient head, body and nose templates. For younger children you may want to cut out the templates before the session. 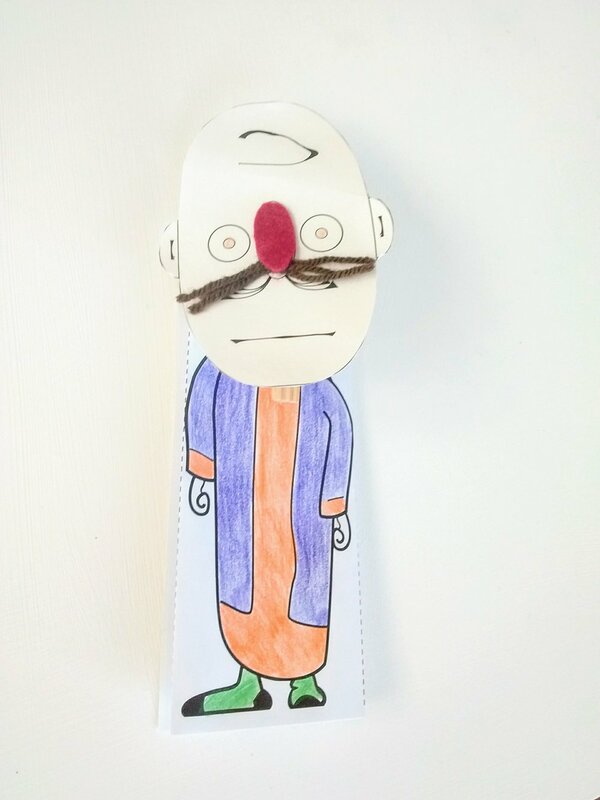 Make a sample puppet so that the children know what they are making. 1. 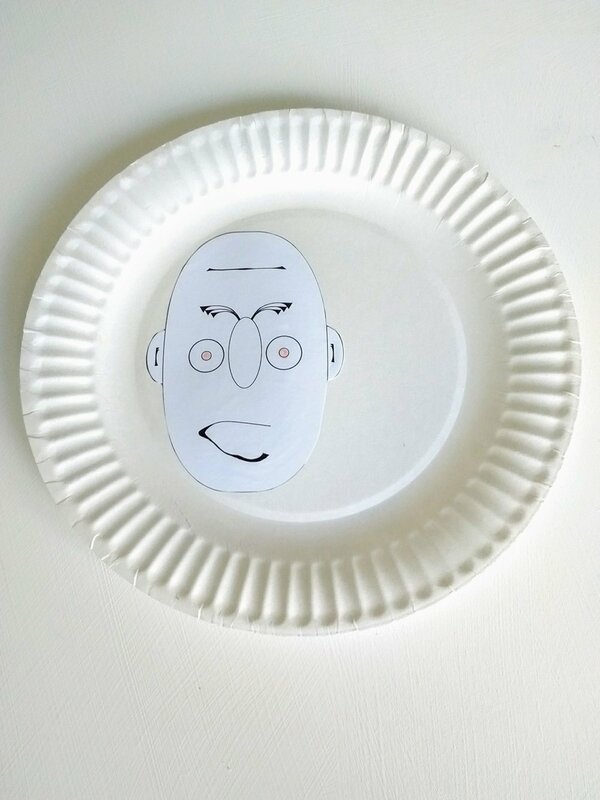 Colour in and carefully stick your head template to the middle of your paper plate. 2. Cut around your template and cut out a small strip 8 x 2 cm from the paper plate. 3. Cut the wool into three or four strands approximately 6 cm in length. Use the nose template to cut out a ‘nose’ from the coloured felt. Stick the nose to the face, tucking the strips of wool underneath to make a pair of eyebrows/moustache. 4. Turn the face over and lay the strip on the back. Bend the strip slightly then secure the two ends with sticky tape. You should now have a small ‘handle’ on the back of the face. 5. Put on a woollen glove and slide your index and middle fingers through the handle. Your face will either have a frown or a smile – turn the face upside-down to change its expression. 6. To make a body for your puppet colour in and fold the template along the dotted lines so that the dots are on the outside of the folds. Stand ‘the body’ upright. Clip a clothes peg to the top of the body template. 7. Slide the ‘handle’ on the back of the face over the peg as shown in the picture. Turn the frown upside-down.